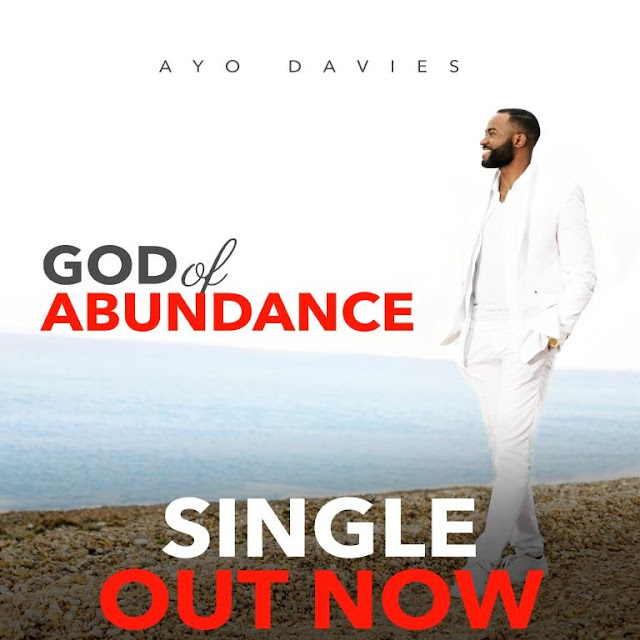 UK-based Gospel Artiste Ayo Davies with an exciting new single titled ‘God Of Abundance’. Produced by Evans Ogboi. ‘God Of Abundance’ is a song that reminds us of God's ability to provide, supply all our needs and exceed our imagination. Hailed for his original style, awe-inspiring vocals and inimitable passion for gospel music, Ayo Davies began his foray into music at a very young age with a passion for African contemporary music. His musical journey, from then to now, has seen influences from gospel, contemporary, R&B and jazz music. Now serving as the musical director for London-based church RCCG Winners Way, Ayo Davies has gone on to revamp local and regional music departments across several churches and organizations in the United Kingdom. Speaking about the inspiration for ‘God of Abundance’, Ayo Davies says, “This song was received in the place of prayer at a time when I was believing God for His divine provision. The word I received was that God's provision already exists and all I had to do was key into it. I began to proclaim that the God of Abundance is more than sufficient for me and the song was birthed".